When new parents face returning to work, it can be a very daunting decision to make. Sacrifice spending time with children or risk financial difficulties by opting to stay at home. Childcare costs, flexible hours and routines all have to be considered. Have you ever considered joining the 15% of the UK’s self employed workforce? In the past four years, 40% of newly created career opportunities are those with companies such as forever Living, Better Dating Events and Stella & Dot. Here’s a breakdown of some of the top partnerships to be involved with if you’re thinking about making the move to flexible working. 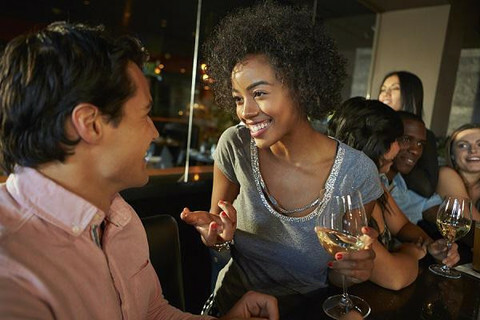 This UK based dating events company celebrates the flexibility of working hours! Hosts are required to work a minimum of one event a week and this is made up of meet and greets, running the events and following up on matches. A free training programme is provided upon successful integration into the Host Programme. This can be completed whilst at home. It’s free to become a Host, no start-up fees are required. You are required to spread your time working from home and being present at the events, which will be local to your area unless you choose otherwise. The job satisfaction is high, bringing people together is highly rewarding, as is executing a great event. No sales targets are expected to be made, Better Dating sells the tickets and you lead the event. You are encouraged to upsell tickets for further events which will make you a healthy profit. The earning potential is high. Better Dating Events will split the share of revenue with Hosts on each event. With the freedom of working as many events as you like, you can take home a healthy income each month. Avon is American giant brand that focuses on selling beauty products directly. An Avon representative is required to host sales parties and collect orders from homes in the local area. No training is required to become a rep.
A start up up fee of £16.00 is required. You will then be expected to pay for your own samples. You are required to work from home although if you wish you can host Avon parties in homes or work door to door. If you enjoy working to targets, you could find satisfaction in meeting quotas and sales. Although no sales targets are required, incentives are encouraged. Representatives get a 20% discount on £100-worth of sales. Your discount increases to 25% for orders over £135. So, when you sell £400 worth of products, you get £100 profit. Sales leaders can earn commission from those working for them. Forever Living is a multi level marketing company which manufactures and sells aloe vera based drinks and health supplements and personal care products. As a Forever Living Business Owner you will be expected to retail your goods in your local area with a client base. No training is required to become a business owner however you’ll receive an information pack with details about the company, your role and the products. There is no initial fee to join however it is advised you buy a Business Owner Box with essential products for you to trial or sell. This is £200.00. You will receive your own website to direct your online customers to. You are required to work from home however you can meet with customers, travel door to door or host events to help boost your sales. There is potential for you to move up within the company, firstly by leading a team and then going on business building and mentoring. There are no sales targets expected to be made. The more you sell, the more money you can make. Profit is made by buying 30% discounted Forever Living products and selling them on full price. Developing a loyal customer base of 20-30 can leave you with £200-400 per month. Kleeneze is a multi level household marketing company that distributes household, health, and beauty products through a network of independent sales representatives. Independent distributors will deliver catalogues and earn rewards for their sales, this can be through door to door or a personal online shop. No training is required however you’ll receive an information pack upon signup. The fee is £160.00 and this covers your startup pack with everything you need to get going including 250 catalogues. You are required to work from home, you will have a personal Kleeneze online shop meaning you can work remotely however you may also take a door to door approach. You can receive job satisfaction from sales incentives and sales. Although it takes a while and a lot of hard work to get business in a good way, your hard work will be rewarding when it pays off. You must meet one £100 order in your first week of joining Kleeneze. This depends on how much effort you put into business. If you post and collect 200 catalogues per week, on average, you could turnover £800 in a 4 week sales period. Your are entitled to 21% of this for your retail profit, which is £168. Stella and Dot is a San Francisco based company that sells boutique-style jewellery and accessories exclusively through in-home Trunk Shows by Independent Stylists and online. There is no training required to become a Stella and Dot Stylist however there is online support, information packs and business building events you can choose to attend. The start up is £169.00 and this covers the expense of your starter pack which contains £300 worth of jewellery, marketing materials and your information business pack. You’re required to work from home by setting up in home Trunk parties, you can also sell online. 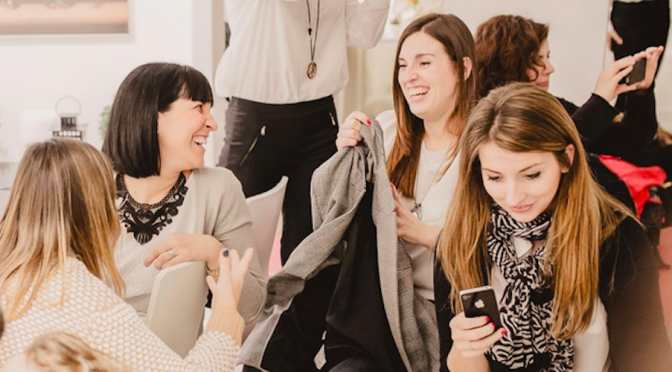 The job is highly social, therefore you can get great satisfaction from networking, making sales and building your personal Stella and Dot business. There are no sales requirements or regional caps. There are only sales requirements if you decide you want to build a team, mentor others to success and earn income from their sales. Leaders are required to meet certain sales quotas in order to receive coaching commissions. Stylists earn 25%-30% of their personal sales. 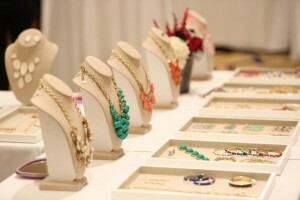 The average Trunk Show total is around £900 retail, earning the Stylist £225 for about four hours of work, on average. Little Signers Club is a company UK wide that specialises in setting up baby signing clubs to help babies and parents with developing communication skills. Training is required to become a teacher, you’ll be given topic packs, sign books and must attend a 6 hour training course. You will need a current DBS check, this helps employers make safer recruitment decisions and prevent unsuitable people from working with vulnerable groups, including children. You must have also completed the first level of The British Sign Language and an essay is to be completed by the end of the training. £595.00 plus a £120 license fee. This covers your training course. You are required to work from home with this role however classes can be carried in community and family centres with your license. A highly rewarding role as you can witness development from learning. There are no sales expectations. Dependent on how many classes are run per week, 3-4 classes a week with an average of 15 families would give a gross earning potential of £225 – £300 per week. The Scallymag is a local magazine produced by parents for parents. You can create your own magazine for you area about things happening for families in your community. A extensive training pack is provided that covers everything you need to know about how to run a magazine including success with advertising sales and keeping track of running the business. There is an initial fee of £475 to cover your manuals and training requirements. Then, when you’re ready to sign the contract and join the team, the fee per Area/Edition is £1,525. You are required to work from home. The job is hugely rewarding, seeing the magazine come together as a finished product and then being used to help families in your area. You must produce a minimum of 3 issues a year. Each Editor can set their own price list and run the business to maximise their profit. You’ll be selling advertising space within every issue you produce. Existing issues have made up to £3,500 gross profit per issue, of which net profit can be as high as 50%. Bilinguasing is a class for babies and children to learn Spanish and French through music and movement. Join as a teacher and lead classes in your area. Teachers must undergo a comprehensive training programme. In addition to ongoing support in launching and marketing your business. Teachers can choose their own hours making the role flexible, however classes are run in nurseries, schools and local community centres. The role is highly rewarding, as you will see progression of bilingual development. There are no sales targets for this role. Top-earning classes can earn franchisees in excess of £100 for 45 minutes, the average is £30-£60 for a class. 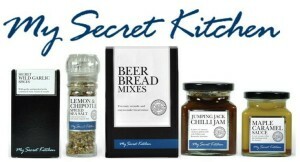 My Secret Kitchen is a direct sales company that specialises in selling natural food and innovative recipes. Consultants can offer free food tastings in homes, have a market stall or sell online via a personal website. Yes, there is training for the role. There are internet based webinars and training manuals as well as Facebook support groups so can you learn as you earn. You are able to work from home in this role however, you’re free to run a stall or visit customers homes for food tasting parties. If you enjoy a sociable role and enjoy food and recipes you will find job satisfaction. There are no sales targets to meet, you can work as little or often as desired. You’ll be selling authentic ingredients like dips, spice mixes, oils, vinegars, meat rubs and many more products as well as unique, loved recipes and your earning potential is in proportion to how much you sell, however commission is 25%. Daisy First Aid Ltd is a multi award winning paediatric first aid training company for parents and carers. Teachers can run their own business as a franchise and run 2 hour classes around their own schedule. Training is required and is set over a 3 day course in Epsom, Surrey. Franchise price is currently £5,995+VAT. There is no additional fee for the first 12 months of running your business. This role allows you to work from home, you can run your own classes within your home. 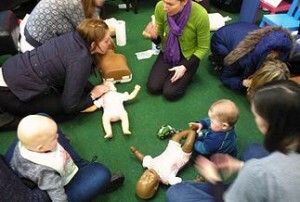 The role is highly rewarding as you will be teaching parents essential first aid which in turn could save a child’s life. There are no sales targets expected to be met. For a 2 hour class you will earn minimum of £100 and maximum of £500 depending on how many people attend your class.